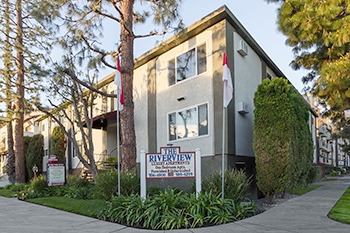 Luxury and convenience at an affordable price at The Riverview! 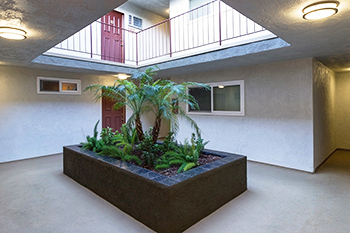 This Studio City, CA apartment community offers its residents comfort, prestige and peace of mind. Our superb, central location near the Ventura Freeway and Ventura Boulevard offers incredible access to parks, shopping, restaurants and easy access to the entire San Fernando Valley. You can also enjoy a morning jog or take in the ambience of the evening as you take an intimate stroll along the Sherman Oaks River Walk, directly across the street. Unrivaled quality, endless comforts, and gracious apartment living is what you'll find at The Riverview. Our creatively designed one bedroom floor plan offers the perfect blend of modern convenience, quality amenities, and charming interiors that will surely delight you. Experience a superior level of service at The Riverview! The Newly Renovated Riverview offers our residents an array of superb community features! 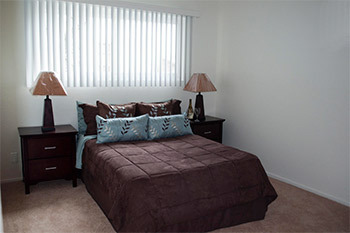 Take advantage of our gated access, subterranean garage, and laundry facility. Our community is the perfect place to relax and enjoy all the pleasures of life. Experience the finest luxury apartment living at The Riverview!